Happy Friday ya'll and happy shower weekend to me and Miss Andi! I am so excited to kick off this weekend not only because of the shower that my friends and family have been tirelessly planning but because some girlfriends are spending the weekend with us as well! Linking up today with the usual gang of Christina, April, Darci, Natasha , Amanda over at Meet @ the Barre and Karli with September Farm. for Friday 5 and Friday Favorites - join in if you haven't already and have a great weekend! I'm a reality tv junkie and when this aired last year I fell in love (I know I know...) I'm so pumped for season 2 to start on Monday- Charleston bloggers, ya'll seen this?? Sooo speaking of reality TV- another Twitter win for me this week. Todd Chrisley, from Chrisley Knows Best favorited ANOTHER one of my tweets. Ya'll- I'm obsessed with him. His parenting and sarcasm crack me up! Binge watch if you haven't already! These warmer temps this week have me all sorts of excited for Spring! I hope they stick around! YAYAYAYAYAY for your upcoming shower!!! And yes, I'm so excited about another season of Southern Charm! I swear they were filming some of it one time when we were down there. It was awesome! ME TOO about the warmer temps! HOoray! have a great wknd! Can't wait to see pics from your shower! Loving the weather--perfect for your shower this weekend! Can't wait to hear all about it!! Those puppies!!!! They are SO CUTE!!!! Hope you have a great shower and a great weekend girl!! Ohh so excited for Southern Charm to come back! Is it bad I want to try to hunt them down when I'm in Charleston? 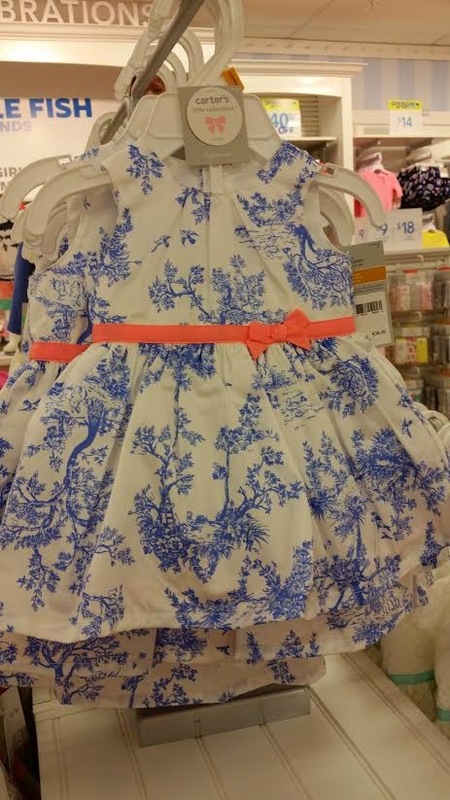 :) Seriously loving that little dress from Carters, SO cute! And yay for warmer temperatures! Happy Friday girl! Yay for baby shower weekends! I hope you get a lot of great stuff. And, we love Carter's 'round here, too! So cute (well, mostly) and I don't mind if Walker gets the stuff dirty at school. I crack up at Todd Chrisley every time - so funny! I am in love with that little baby dress! How perfect! THOSE pups...omg I wish I lived closer so I could snag one from you! Adorable!!!! Stopping by from the Oh Hey Friday! link up! Hope you have great weekend! Ps. Chrisley Know's Best is one of my favorites too! I can’t wait for Southern Charm to start again! 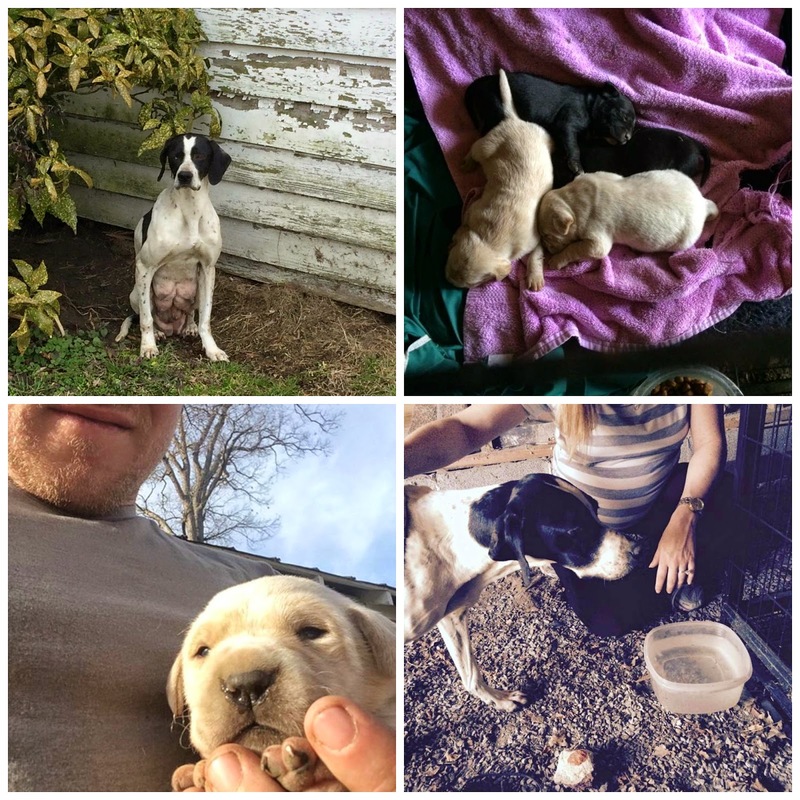 How sweet of you guys to take care of that mama and sweet pups! Love Southern Charm. And love Chrisley Knows Best. They live not far from where I grew up - and where my parents still live - so it's always funny to watch the episodes and see familiar landmarks. Yay for your baby shower!! I'm so excited for Southern Charm. I totally love that show!! Have a wonderful weekend. Thank you for taking care of that sweet mama and pups! I volunteer at the city shelter here in Baltimore and we are always full too :( Plus a shelter is not the ideal environment for a new mama and babies! And yay for another season of Southern Charm! (I fell in love last season too). Happy weekend! Love this! Love that you're taking care of that sweet mama and her puppies (and I secretly hope you keep her!) And can't wait for Southern Charm -- such a fun show. And yay for sweet little girl's clothes! Happy Friday! The baby clothes are SO cute!!! Love that :) Happy Friday friend! Hope you have a wonderful time at your shower! I am so excited about spring temps too. My heart broke when I saw that poor mama dog and her pups. So glad you are helping her! We are so on the same page with Chrisley Knows Best. So funny! And you are right, Carters is a great place for baby clothes. They have sales all the time too! That poor mama. I'm so glad she's trusting you guys now. OMG I am obsessed with Todd from Chrisley knows best!!! And Carters has the BEST sales, especially for the really little stuff! :) Have the best time at your shower! Girls are SO fun to shop for, and it never gets old. You're going to love every minute of it! The puppies are so adorable and so sweet of you all to take her in, I hate to see animals suffer. Hope you have a great weekend girlie! Stop. 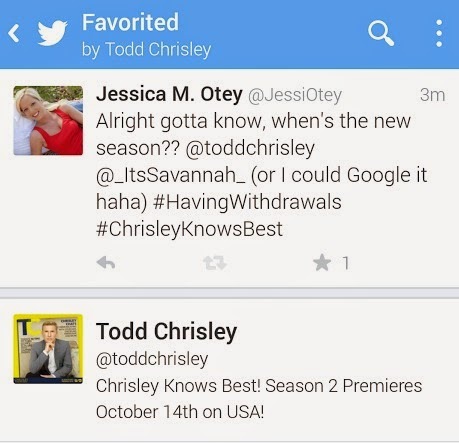 If Todd Chrisley favorited one of my tweets life would be complete. I love that show!!!! Oh my gosh the puppies! I can't take the cuteness!! That is so cool Todd tweeted you!!!! I seriously LOVE that show and watch re-runs all the time! Just such a funny family. Carter's has some adorbs outfits right now! I was in there with my SIL the other week and I wanted to buy everything! I can't wait to see how spoiled you both are at your shower!! I am loving Carters, too! I wasn't a fan with Cam, but their girl outfits are ADORABLE!!! Have a fun weekend!! Be careful with those dogs you are just "keeping until you can find them a home". They have a tendency to stick around and become family :) So cute! Love that little dress...so tiny! Our 9 month old's whole wardrobe is almost all Carter's! Haha. A great way to find super deals is buying it at department stores. They'll have super sales, plus you can use the stores coupons and get stuff for dirt cheap. The one thing I don't like about Carter's store extra percent off and promotions is its always just ln regular price items. No fun there! Ha. I get great deals at JcPenney! I am loving that little Carter's dress. I have a feeling you are going to be a ball of emotions on the day of your shower. Everyone there to celebrate you and Andi! It's such a touching experience. That is so nice of you to help that mama dog and those pups. Are you sure you aren't going to keep one? The mama looks so sweet. I hope she gets spayed and finds a good home... all of them! Excited to hear more about your shower! And yes, Carter's is my favorite for tiny baby things!! You are such a Twitter superstar, girl!! ;) So fun! How sweet that you were able to help that mama doggie! Hooray for baby shopping!! That quote is sooo true!!! The long winter sure does make springtime all the more glorious!! ;) Happy baby shower weekend!! Can't wait to hear all about it, sweets!! xo! Oh my word that dress is so cute! I totally would have had to of gotten it! 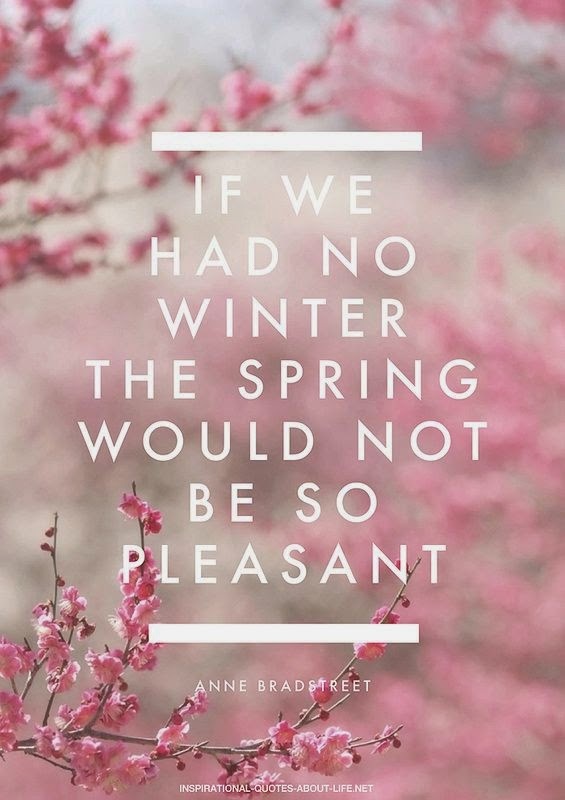 I am so excited for spring too! And those puppies-so cute! So much goodness here! The poor pups - they're so lucky to have found you guys! And yayay for your shower this weekend and Todd tweeting you!! Can't wait for Oct 14th! OMG - poor puppies! I can't even handle things like that. I'm too emotional, lol. Thank goodness that they found the both of you! I LOVE Chrisley Knows Best - absolutely hysterical. I hope your baby shower was everything you deserved and wanted! That pup is glad she found y'all! And those puppies are adorbs. I'd want to keep them all. Hope you had an awesome shower weekend! Looking forward to seeing your pics. Oh my goodness that mamma pup and her babies! How precious! So nice of you guys to take good care of her! That just breaks my heart!